Last week I got a care package from an awesome company in the U.S called Tacticool Imaging who are the creators of MYMAGS magazine wraps – so I thought I’d do a little review of them. They kindly sent me a sample pack of three designs, which was enough to cover 3 of my M4 mags. 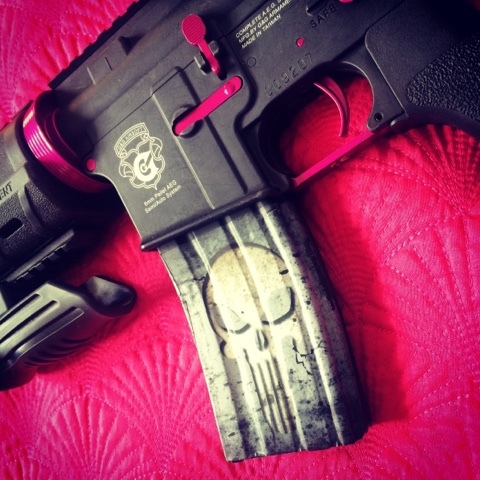 The designs consisted of a purple/pink skull motif - my absolute favourite which I'm saving for my new G&G pink mag, a Punisher-esque skull motif and a camouflaged wrap with a skeletal frog. 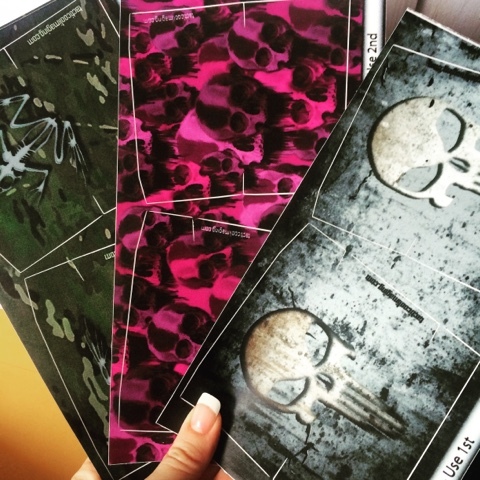 Tacticool Imaging have plenty of stock designs to choose from which you can see on their website or Instagram (linked at the bottom of the page) but you can also have any design you want printed on them, such as your team logo etc via their custom MYMAGs service. 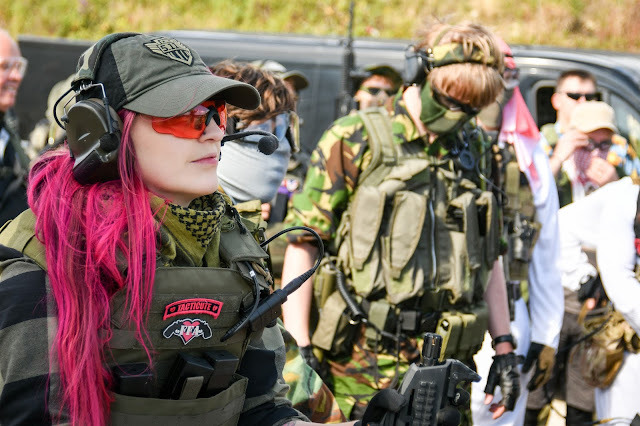 Prices start at $20 for a pack of 3 of stock designs or you can have your own custom MYMAGs wraps for $25 for 3 so they’re a really affordable way of customising your mags, now the sample pack Tacticool Imaging sent are the first to come to the UK but these are available to UK customers and I don't think it will be long before we more of them! The wraps are relatively easy to apply, with clear instructions printed alongside the designs. I made sure to clean and dry the surface of my mags thoroughly to ensure there wouldn’t be any foreign objects trapped underneath the wrap, ensuring the best grip and also best finish possible. The wraps are simply peel off and stick on, and are best applied to smooth, flat mags. Once applied correctly, the mag wraps look great! 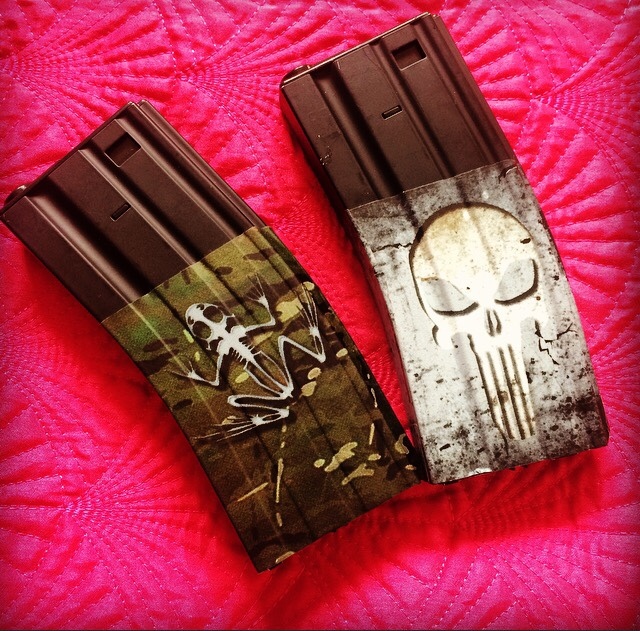 They’re a great way to customise your mags and add something a little different to your load out. It’s all about standing out! They feel smooth and well printed. They also look durable but only time will tell!